Home » Television News » Sarabhai vs Sarabhai might be making a comeback and WE CANNOT WAIT! Television channel Star One may have folded up a while ago. But its shows have managed to gain cult status over the years. One of its best remembered shows is Sarabhai vs Sarabhai - which is also one of India's most critically-acclaimed TV shows. Be it Maya Sarabhai's dialogues - remember "so middle class"? - or the poems by Rosesh Sarabhai, many will instantly recognise lines from the show. The show went off the air in 2005, but the growing numbers of views on the show's episodes on YouTube is proof of its terrific repeat value. Fans of the show have been demanding a second season since 2005. And while the makers have kept mum on the possibility of a reboot so far, there may be some good news in store. Producer of Sarabhai vs Sarabhai, JD Majethia, took to Twitter to share the exciting development. 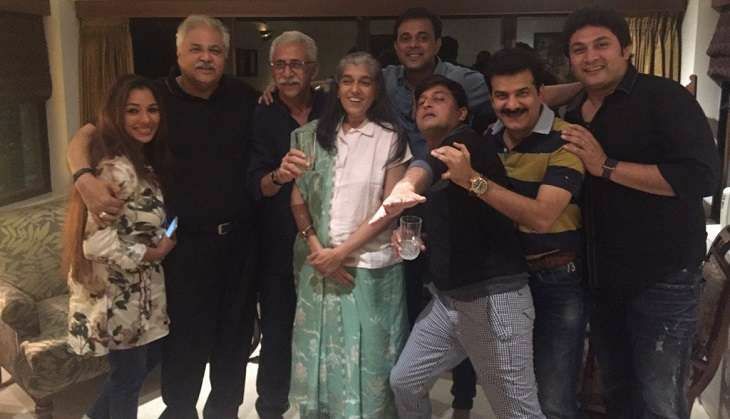 The Sarabhai family may be back on the small screen soon. We can't wait!